One of the hottest discussion points in Android Technology is how to earn money using Android Applications. One of the hottest discussion points in Android technology is how to earn money using Android applications. 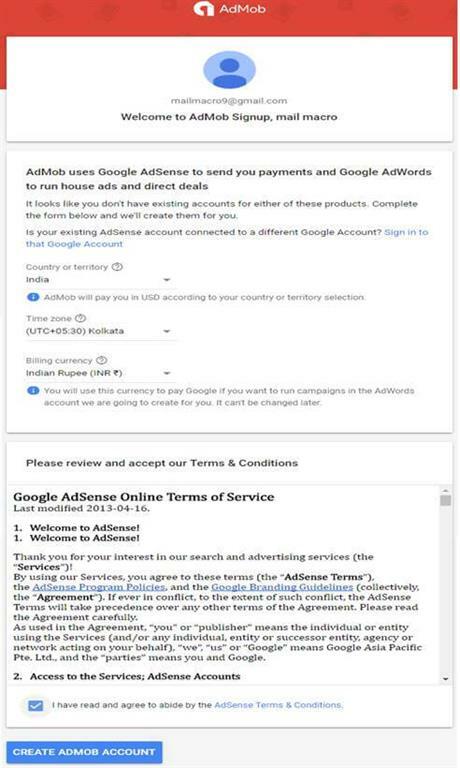 In this case, ‘AdMob’ of Google is the best platform for the applications for monetization and maximizing the revenue. Over 1 million of apps are using ’AdMob’ to generate reliable revenue with more than $1 billion paid to the developers. Let Google know your suggestions and inform you of updates. 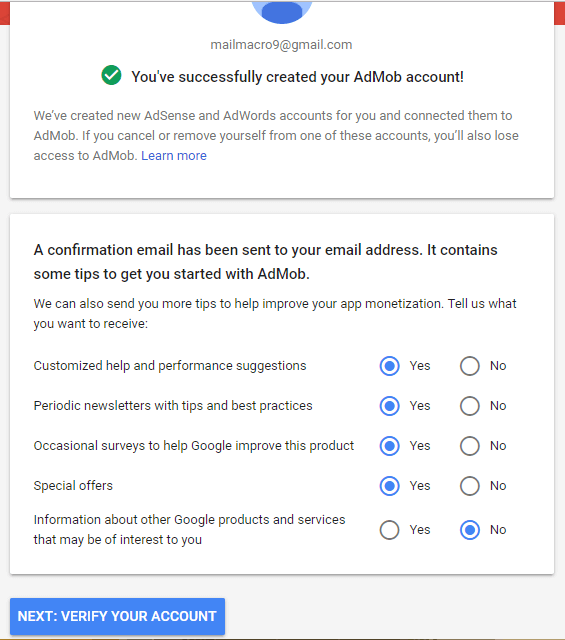 Do verify your Gmail account. Now, move to your dashboard and click on Apps > Add your First App by giving your application name. Here, you have to select your project status too, i.e., whether you have published your app or not. Now, choose the app platform - either Android or iOS. Now, you have to create an ad unit by selecting your project and clicking on ‘ADD AD UNIT’ button. Choose your ad type from below. 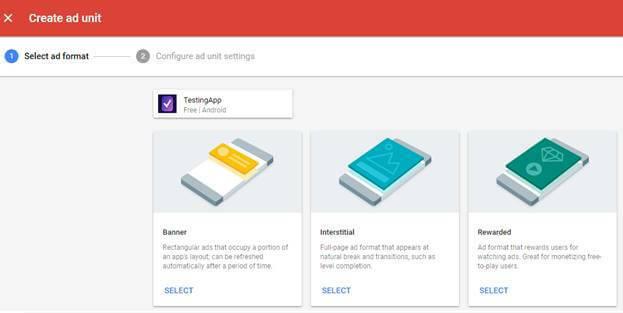 There are three categories of Google Advertisement Banner (like ribbon), Interstitial (full screen), and Rewarded (videos). Here, I am going to illustrate by selecting the Banner Ads. While selecting the Banner type, you have to create an ad unit for this particular project by giving the ad unit name. Now, you have to integrate your app with App id and Unit id in the following way. 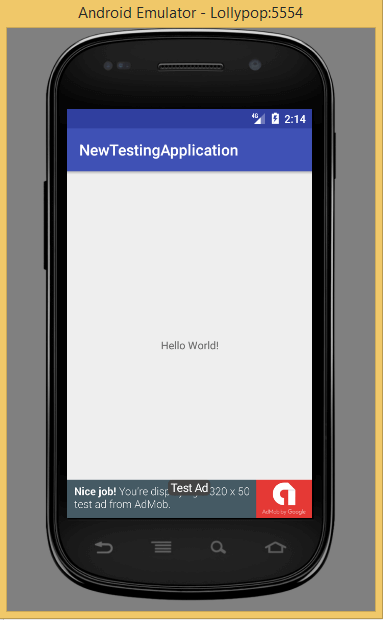 Create an app first –In this example, I am using Android Studio 3.0.1 with Kotlin. See my article Getting started with Android and Kotlin if you want to use a lower version of Android Studio for Kotlin development. Create a New Project, give the name and location of the project, select ‘Phone and Tablet’ app category. Set the minimum SDK 19, click "Next". Select an empty Activity > Next > Finish. Here, ‘adUnitId=” caapppub8744339993361257/7857148840” is the default unit id provided by AdMob for testing purpose. 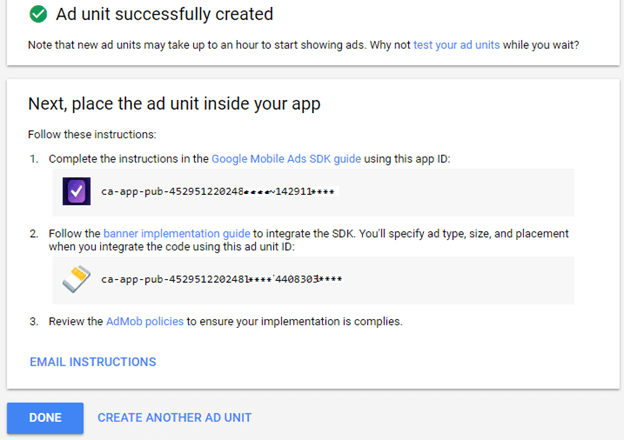 You can use your Ad Unit Id here. Congratulations!! You can see at the bottom of the app, there is a sample advertisement.